I grew up in an extremely creative family; I have a trumpeter mom, guitarist dad and percussionist brother and stepfather. I am a cellist, and even earned a college scholarship for my playing. So, naturally, I became a computer scientist. I have always approached software development as creating works of interactive art, so the progression seems natural to me, though it may seem odd to others. In my mind, studying machine learning was a way of making video games truly works of adaptive art, using my artist’s meticulous eye for detail. Now, as a senior software engineer for education transformation with IBM Research, I have the opportunity to use that immersive experience to advance learning for children. My parents did a fantastic job of integrating learning into our everyday lives with little math problems, songs, art projects and experiments. I learned binary math on a napkin in a restaurant. I learned about time zones with a big bouncy ball and a flashlight. I learned percentages at the grocery store. As a family, we also enjoyed Sesame Street. My parents would bring the learning experiences from the episodes into our daily lives, especially through Sesame Street songs like “Ladybugs’ Picnic” which reinforced counting, and “Cow Dog Song” and “Me and My Llama,” which taught us about animals with subtle other lessons about word play and going to the dentist. Sesame Street also taught emotional awareness, kindness and sharing. For instance, my brother and I would put pot lids on our heads and pretend to be Oscar the Grouch. It gave my family, parents included, a common point of understanding about a difficult (grouchy) emotion. 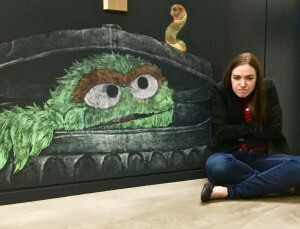 Allison Allain next to an Oscar the Grouch mural. Growing up, the songs-for-learning became less frequent. While my teachers had occasional songs for remembering French être verbs or calculus concepts, there was nothing like Sesame Street. But my parents and Sesame Street nurtured a mindset that I could accomplish anything that endured regardless of age or domain. Today, still inspired by Sesame Street, I’m on a team working alongside its creators, Sesame Workshop, to combine Watson’s machine learning technologies with top of the line education research. Together, we’re planning to create the next generation of learning tools for young children. 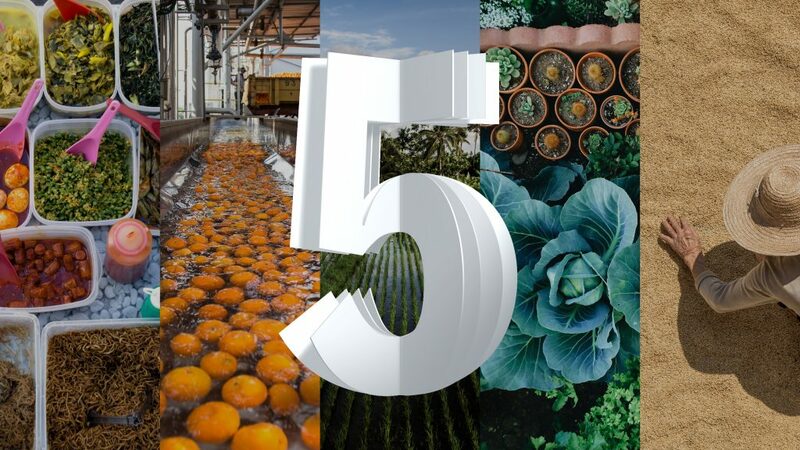 I’m applying my expertise in the internet of things, software development, augmented reality, video games and machine learning to help come up with ways of using technology to be more engaging and more personally directed than when I watched Sesame Street as a child. When I was a child, my parents were the curators of my learning experience in a way that helped nurture my curiosity about the world. In the Internet age, however, there is so much more content available, so many accessible teaching tools, there seems to be more of everything – all with significant variance in the quality and efficacy. The answer to “what is the best activity for my child?” is difficult and depends on the day, time, and child’s interests, not to mention, the previous answers to the same question. Sesame Workshop has decades of content and research focusing on early childhood education and more than a thousand studies. Watson can absorb it all, developing an understanding of a child’s current level of learning, their background and the world around them. With cognitive computing, every learning interaction can be completely crafted on the fly for a child, keeping their unique world of knowledge and enthusiasm in mind and ensuring that each session is as impactful and fun as possible. Watson is the key that can bring all these things together. Our Watson + Sesame Workshop team has the world of technology at our fingertips and a serious opportunity for new research lies before us. I look forward to finding new ways of helping children learn, with the aspiration of inventing new technologies along the way, including the possibility of inventing new mediums of interaction. These could come in many and multiple forms: apps, software, toys, wearables and innovations still yet to come! 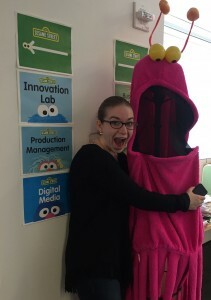 I’m excited to explore these learning experiences with Watson and Sesame Workshop that aims to utilize each child’s knowledge, strengths, and interests to then increase the learning impact of each interaction, and provide each child the strong foundation for learning that can last a lifetime.